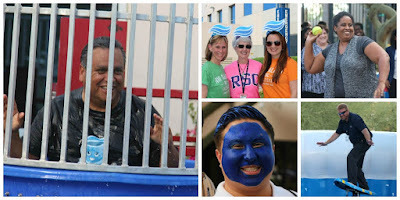 Rio Salado College | RioNews: Pep Rally Raises 1K for Student Scholarships! Pep Rally Raises 1K for Student Scholarships! More than 215 attendees took part in Rio Salado's first-ever Back-to-School Pep Rally and Scholarship Fundraiser on Tuesday, Sept. 15. 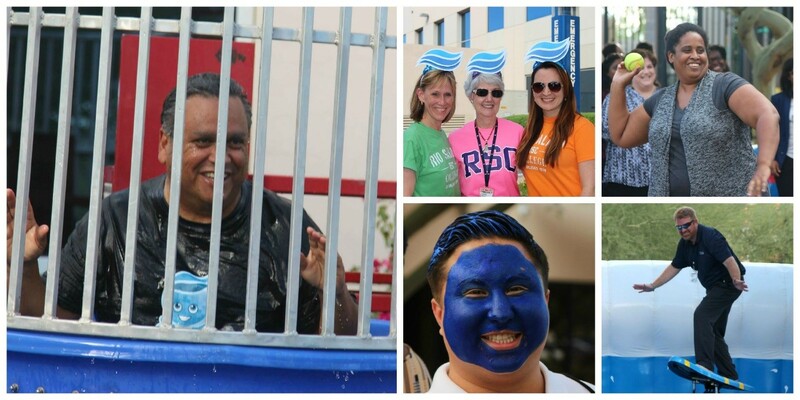 Rio Salado and the Maricopa Community Colleges District employees who attended the event enjoyed snow cones and water-themed activities like a dunk tank, water balloon volleyball, sponge toss and surf-machine. It was also a chance to help introduce the college’s new mascot Splash. 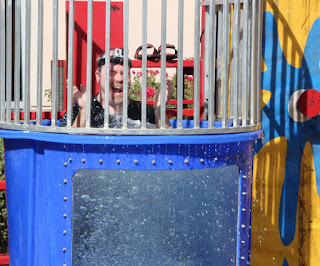 Thanks to everyone for attending, and for helping to raise more than $1,000 for the Rio Salado student scholarship fund! 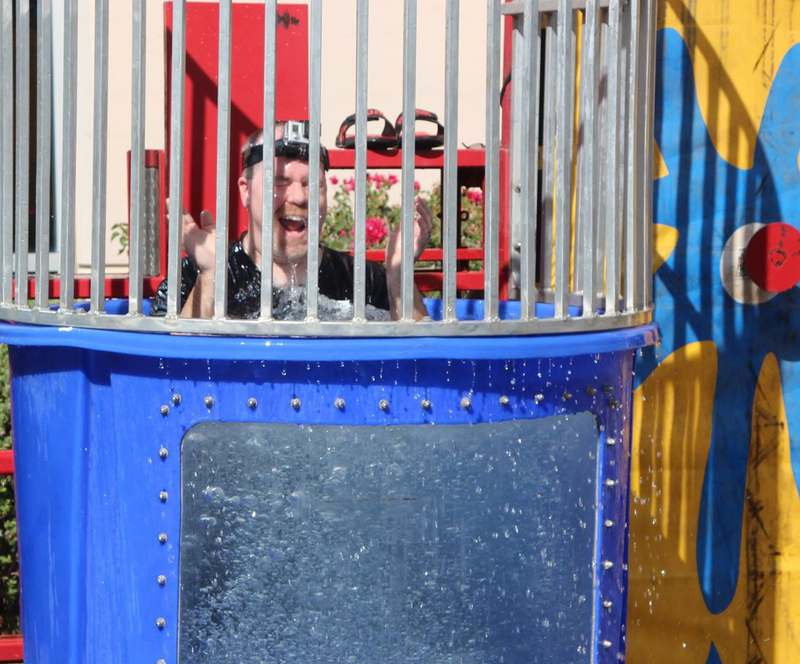 And a special thank you to the good-natured folks who volunteered to be dunked and splashed in the name of education! You can view more photos from the event by visiting this Facebook album.